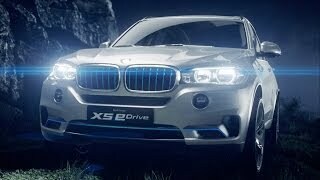 BMW has revealed the X5 eDrive concept, the latest SUV concept combining the driving pleasure of the xDrive intelligent all-wheel drive system with a plug-in hybrid concept, ahead of its public debut at the 2013 Frankfurt Motor Show in September. 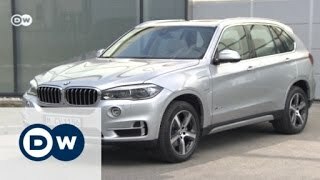 The X5 eDrive concept has a top speed of 120 km/h (75 mph), a maximum range of 30 kilometres (19 miles) on electric power alone and average fuel consumption of 3.8 litres per 100 kilometers (74.3 mpg) on the EU test cycle. 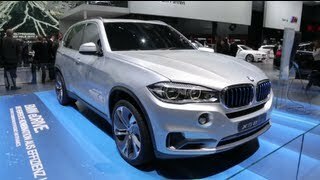 The 2013 BMW X5 eDrive concept is powered by a four-cylinder combustion engine with BMW TwinPower Turbo technology mated to an electric motor giving an output of 70 kW/95 hp. It can be charged from any domestic power socket and has sufficient capacity to enable the car to travel up to 30 kilometres (19 miles) solely on electric power, generating zero local emissions in the process. 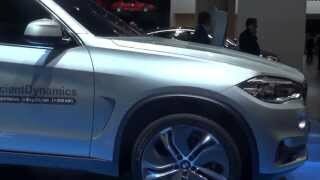 The BMW Concept X5 eDrive can complete the sprint from rest to 100 km/h (62 mph) in under 7.0 seconds. Other highlights are the kidney grille slats, air intake bars and the inlay in the rear bumper – all in the BMW I Blue color – creating a contrast to the Silverflake metallic exterior paintwork. The X5 eDrive concept also comes with specially designed roof rails, a connector for charging cable and 21-inch light-alloy wheels aerodynamically optimized.